Dahlias have been watered successfully using a number of methods. Traditionally they have been watered with a hand held hose, deep furrow watering, drippers, low level sprays, overhead sprinklers etc. 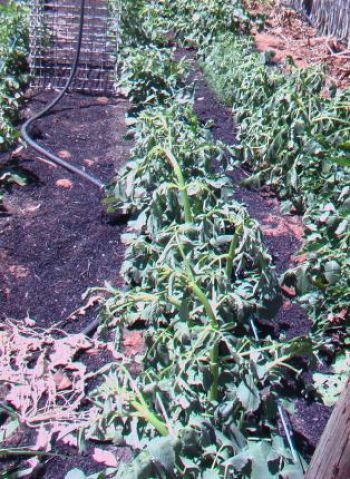 For years I used overhead sprinklers and more recently with drippers. When water restrictions were introduced our water allocation was cut back to 17%. This resulted in looking for alternative efficient ways to deliver water to the Dahlias. The Almond Industry was using water very efficiently with a method called “Pulse Watering”. “Pulse Watering” was adopted and now it has now been fine tuned to suit Dahlias. 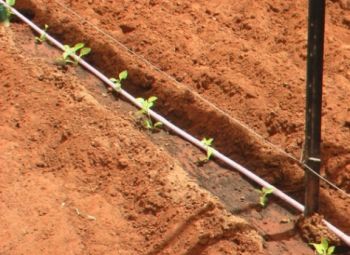 Adopting “Pulse Watering” our plants are better than ever before, even through the hottest Days. 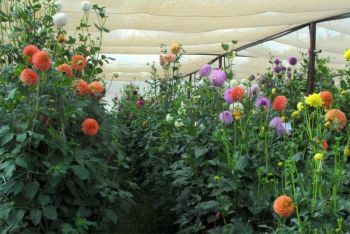 Even though we had a hot December & January we had the best Dahlias for many years. Water is applied up to six times a Day. My experience of growing Dahlias for the last 30+ years has used a number of methods of irrigating/watering the plants. With the introduction of water restrictions alternatives were investigated & fine-tuned. 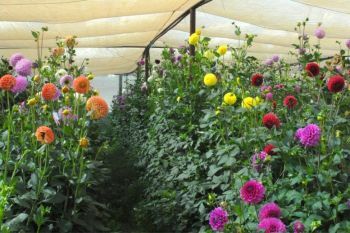 Traditional water requirements for Dahlias advocated in a number of publications that a Dahlia Plant needs up to 2 gallons of water per plant per day =Nine Litres. 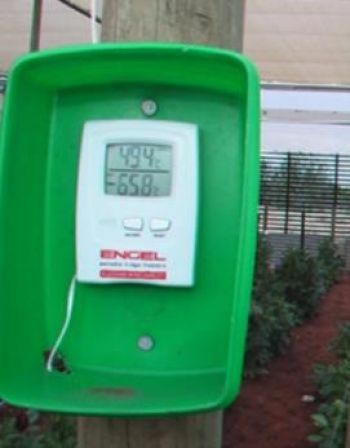 Each plant now receives a total of 2.8 litres (0.6 of a Gallon) per week. With only 17% of our Water Allocation allowed we were forced to seek an alternative. It was observed the Almond Growers had adopted “Pulse Watering” & it saved their trees along with the crop. Water is applied up to six times a Day for two minutes at a time. The thought of this was horrifying but it had been applied successfully in other crops in the Riverland. 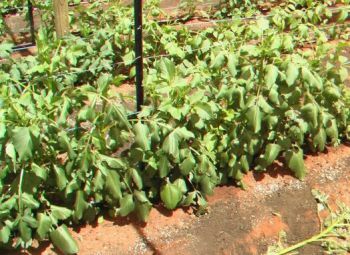 “Pulse Watering” was adopted as an alternative because there was no other option. Most Controllers are easily programmed to come on six times a day for two minutes at a time. The controllers pictured are battery operated & do not need solenoid valves and associated wiring. I use an eight Station Garden Controller. Pressure Compensated Dripper Hose with an emitter every 300mm (12 Inches) was installed. Each dripper delivers two litres of water/hour. Water is applied six times/day for two minutes at a time, each dripper delivered approx. 400ml of water per plant/per day. At: - 8.00am – 11.00am – 1.00pm – 3.00pm – 5.00pm – 8.00pm. There is a plant at each dripper. The Pulsing of the Water six times a day replicates a mini wetting & drying process. This process actually works like a horizontal wick drawing the water horizontally. The moisture is predominately in the top 400mm (16 inches) right where the plant needs it. Not vertically like a tear drop pattern when drippers are left on for long periods. The distribution of water was right across the rows, right in the Root Zone. Our Rows are 1.2 Mt (4’) apart & the water actually meets in the middle of the row 25mm (one inch) below the surface. 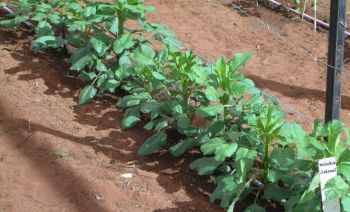 This has assisted in the development of a good root system that assists the resilience of the plant on those hot days. 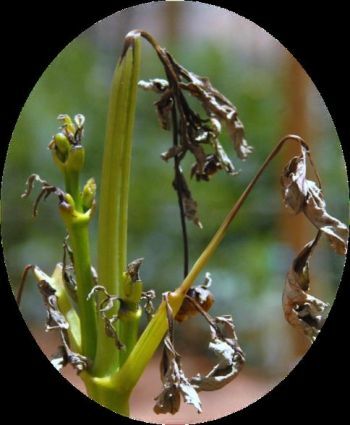 The plants show far less stress on those hot days, than with conventional watering methods. 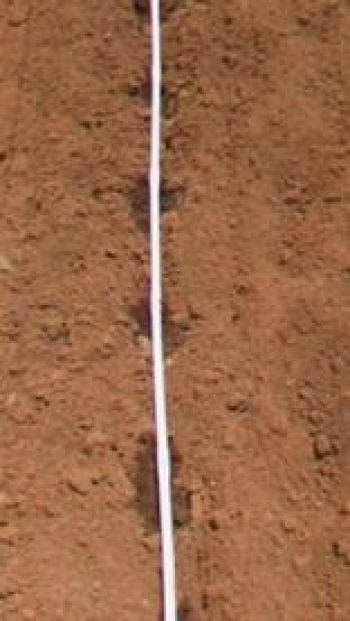 With “Pulse Watering” we had virtually no loss of fertilizer being leached through the root zone out of reach of the plant. Water savings are approx. 70% compared with what we applied in previous years. This resulted in us having a great season with excellent blooms under the very trying conditions. Applies water to the right place. 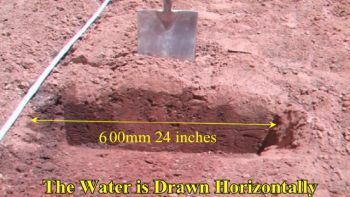 Water soaks into the Root Zone. No water lost to the lower soil profile. 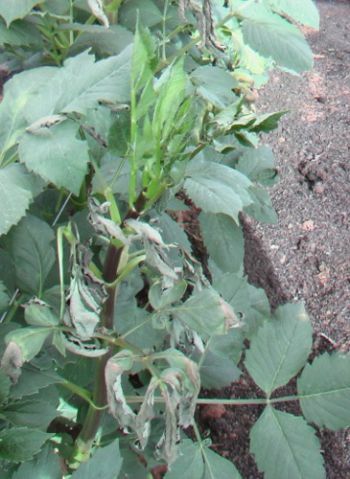 Reduced bud burn & tip burn. With conventional watering methods the Growing Tips would have been totally lost. 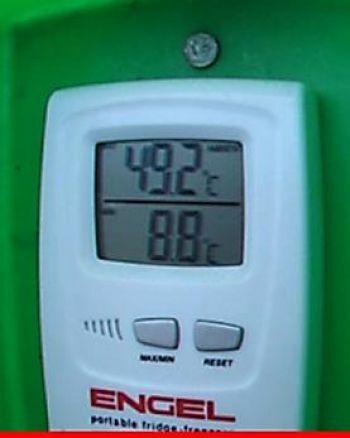 After three consecutive days of 48C/49C was there was some burn on the blooms. 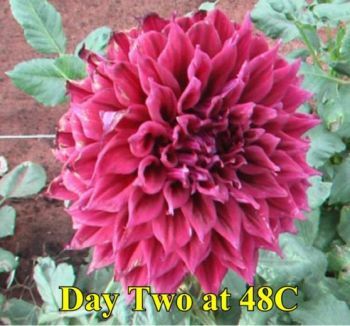 After Three Days 48C/49C the growing tips continued Growing. 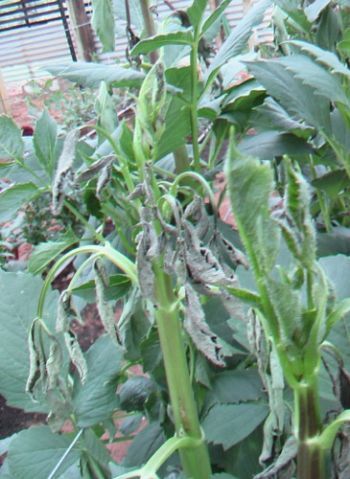 There was some damage to the larger leaves but the growing tips were fine resulting in the developing buds reaching maturity in good condition. Thanks to the results of Pulse Watering. Providing Water at the CRITICAL Time is the answer. “Pulse Watering” can be easily adopted in the home garden in the smallest of Dahlia Patches. It is also good for most vegetable crops, fruit trees, vines & roses.